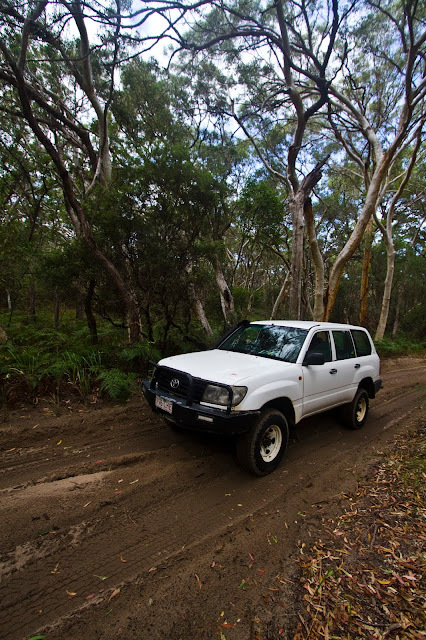 FRASER ISLAND: Heavy rain around the 22nd of Jan made the island's tracks a little boggy, but we're pleased to report that it has all but dried up and inland driving conditions are excellent for all types of 4wd vehicles. A little rain makes for compact tracks. Photo by Cody Doucette, The Matador Network. Southerly winds (15 to 20 knots) are predicted on the western side of Fraser at Wanggoolba Creek, Ungowa or a little more south, at Buff Creek (where fishermen have been know to catch large javelin or bream). Kingfisher Bay Resort's jetty and areas from Waddy Point West are protected from southerly winds and would be the preferred fishing spots for this week. The weekly weather forecast for the eastern beach side is sunny days with afternoon rain coming in too cool down. Average temps between 24 to 29c. Enjoy! This report is brought to you by our very own Wilko and Zoe from Eurong Beach Resort and by Gez from Air Fraser Island.